Prolonged alcohol and drug abuse have a severe impact on the way the brain functions and how neurons send, receive, and process information. A complete substance addiction recovery treatment should go beyond the effects abuse has on the body and tackle the mental and emotional hardship as well. That’s where brain mapping therapy can make a significant difference. Brain mapping and imaging enable clinicians to discover patterns of neurological dysfunction and alter brainwaves to balance neuronal activity. 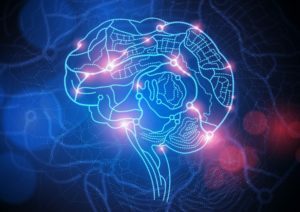 What Is the History of Brain Mapping Therapy? Brain mapping is not an entirely new process, but the recent technological developments have made it easier for professionals to perform this therapy. The first evidence of electrical activity fluctuations in the brain goes back to the early 1800s, but it wasn’t until 1963 that scientists noticed that they could influence this activity. Although brain mapping can be traced back more than a century, only recently this type of therapy has seen significant progress in helping patients during their recovery process. Because brain mapping is such a complex discipline and progress has been slow, professionals are a bit hesitant when it comes to recommending this therapy to their patients. However, a growing body of evidence shows that brain mapping therapy can help reduce cravings and provide positive improvements. Brain mapping therapy can help clinicians tailor the treatment plans to the unique needs of their patients, and get more accurate outcomes than through conventional group therapy. Because brain mapping therapy allows doctors to detect some withdrawal symptoms, such as intense cravings before they happen, they can take the necessary steps to prevent relapse in high-risk patients. That could make it easier for patients to go through with the treatment plan and break free of the addiction cycle. Another advantage of this type of therapy is that it allows for a customized treatment plan based on precise EEG and QEEGs. Even if medication is helpful in the initial stages of rehabilitation, a long-term treatment plan must include a strategy for accurately preventing relapse, and brain mapping therapy might just be the solution. Brain mapping helps specialists understand the triggers that led to destructive behavior patterns in the first place. With this information at hand, they can design better treatment plans for their patients and help them overcome addiction. Windward Way continues to advance its therapies to encompass the larger body of evidence-based addiction science. We use these innovative addiction treatment methods to provide the most comprehensive care for men aged 18-45. One such methodology looks into how the brain is interconnected through a person’s unhealthy habits such as an addiction. A chronic addiction will impact a person’s neural pathways and brain mapping can get at the root causes behind the desire to pick up and use a substance. Translate: a person’s behaviors have been formed by the day-to-day habits he has acted on. Brain maps can isolate these root behaviors and reconfigure them by establishing new, healthier pathways to promote long-term recovery. In both our drug and alcohol rehabs, our staff may recommend brain mapping as one modality (alongside other traditional addiction treatment methods such as a 12-Step Program) to effect real change in a client’s life. Since our professionals want to pinpoint the causes and triggers of a person’s behavior, we see each person as a collective whole. This holistic view of substance abuse treatment effectively comes to grips with not just the substance use itself, but also the underlying causes. We’re exceedingly proud of our addiction treatment program we have shaped to be like no other you can find for men. Reach out to us—we’ll customize a program just for you to find yourself again. 855-491-7694.